Barefoot running, minimalist running and natural running are all terms that describe running in a manner that allows our foot to function the way it was designed (or has evolved). This happens through the use of little or no shoe at all. Many runners suffering from chronic injuries are adopting this way of running and are experiencing relief of symptoms to find themselves running with enjoyment and a more relaxing form. I too have been cured of a running injury, which I suffered from for over eight years after transitioning my gait to that of a “barefoot” runner. Without further ado, here are the 10 myths of barefoot running. I have flat feet and I need support. Lees and Klemerman have demonstrated that there is no correlation between foot type and running injuries, specifically with a pes planus deformity.5 During barefoot running, we avoid heel striking and land more on our forefoot or midfoot. Once the forefoot strikes the ground, pronation of the entire foot begins (not isolated pronation of the subtalar joint) and continues until the point where the heel touches the ground. Arch height becomes irrelevant as does the commonly described concept of pronation with the heel striking the ground first. With a forefoot/midfoot strike, pronation is very beneficial and helps to absorb shock. I weigh too much. While this is a common excuse to not run, being overweight is not reason enough not to run barefoot or in a minimalist shoe. In 2010, Leiberman and co-workers were able to demonstrate that habitually unshod runners were able to generate smaller collision forces than shod heel strikers.6 In other words, by forefoot striking, we decrease the force that transmits through the lower extremity, thereby reducing torque forces to the ankle, knee and hip joints.7 Clearly, we can see that if people weigh 250 lbs, they would be placing more force through their joints by heel striking then by landing on their forefoot. Would Bad Knees Inhibit Barefoot Running? How Do Orthotics And Plantar Fasciitis Come Into Play With Barefoot Running? Another overlooked phenomenon is the fact that the majority of running shoes place your ankle into plantarflexion. This forces the body to compensate by increasing lumbar lordosis and increasing pressure to the heel as opposed to having more even distribution throughout the foot. An atrophied fat pad would prohibit barefoot running. This is another common myth that patients acquire from various sources, including medical professionals. Most, if not all, of us have treated a patient who complains of forefoot pain or calluses, and then simply blames the problem on a lack of adipose tissue or cushioning below the metatarsal heads. While this seems to be a possible etiology, there is no evidence to date that the fat pad of the sole of our foot actually atrophies on the forefoot or the heel region.26,27 With common forefoot pathology such as hammertoe deformities, we do see the fat pad migrate distally producing more prominent metatarsal heads but typically, this is in severe cases, such as rheumatoid arthritis.28 Patients at this stage of a deformity are typically not runners. Barefoot running causes severe calluses. Calluses on our feet form as a result of shear force on the plantar surfaces of the skin that produces excess friction. Shear force that occurs in the horizontal plane is the key to understanding this concept. Direct pressure does not produce calluses or we would see a high preponderance of heel calluses in runners as the majority of runners heel strike. Root discussed the formation of forefoot calluses secondary to shearing forces associated with propulsion as well as to the central metatarsals due to increased loading for an excessive period of time and abnormal shear.29 Root’s observations hold true for someone who heel strikes when running as we see increased force placed upon the forefoot during what he described as the propulsion phase. Observation of the gait of a barefoot runner or one who strikes with the forefoot/midfoot demonstrates that the propulsion phase as described by Root becomes very minimal in existence, if it even occurs at all. Good Form Running in association with New Balance provides training to adopt this style of running and we can see that by developing forward momentum, we carry the contralateral limb forward instead of having forefoot propulsion.30 By doing this, we decrease the force present to the forefoot, especially the shear force. Not only is this beneficial for reduction of the shear force but we see a decrease in the ground reactive forces acting on the first metatarsophalangeal joint, which can reduce sesamoiditis. You could step on glass. This is my favorite excuse for not running barefoot. Numerous times, people ask me the question of “what happens if you step on glass?” There is debate on this topic among medical professionals as well as early adopters to this style of running. What is my answer? “Don’t step on glass.” This concept of “barefoot running” is not about what you are wearing on your foot. It is about how you are running and allowing the foot to perform the way it was designed and intended to perform. Once the form is perfected and the runner abandons heel strike (which runners can typically learn on a treadmill barefoot), the next step is to protect the skin of our foot while not compromising the proprioceptive feedback from ground. 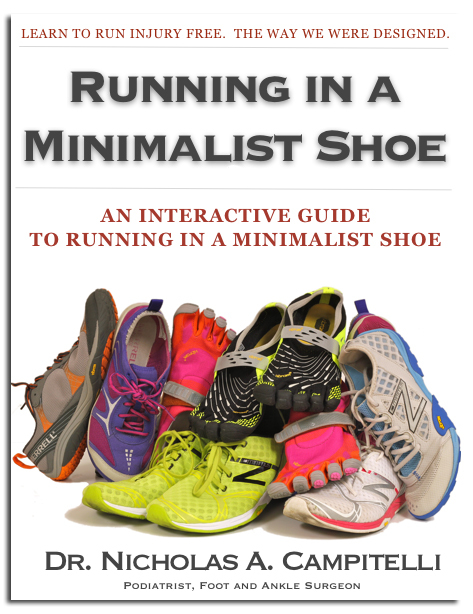 There are numerous options available that have recently become known as minimalist shoegear. 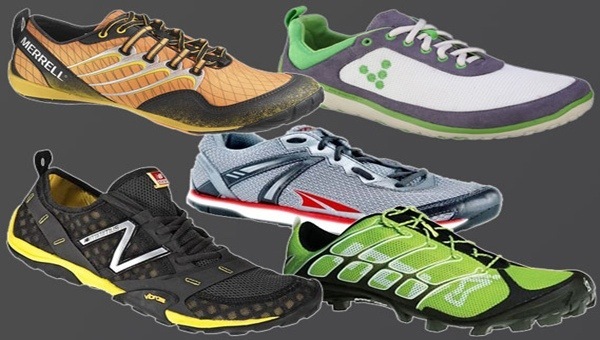 FiveFingers (Vibram), Minimus (New Balance) and the Trail Glove (Merrell) are just a few of these shoes. FiveFingers has quickly become the market share leader due to its ability to allow the toes to function individually and allow full range of motion of the forefoot as well as the midfoot and rearfoot joints with a zero drop.34 Nike as well was one of the very first to introduce a less supportive shoe in 2004 known as the Nike Free.35 While this is a very flexible and non-supportive shoe, it does have a considerable amount of cushioning, which can interfere with feedback and increase muscle recruitment to provide control. Barefoot running is about learning to run the way our body was intended to using the foot as an ideal shock absorber and not relying on a shoe that compromises the anatomical position of the foot and places one at risk for injury. Using a true minimalist running shoe can achieve this and still protect the foot from the environmental dangers. Dr. Campitelli is a Fellow of the American College of Foot and Ankle Surgeons. 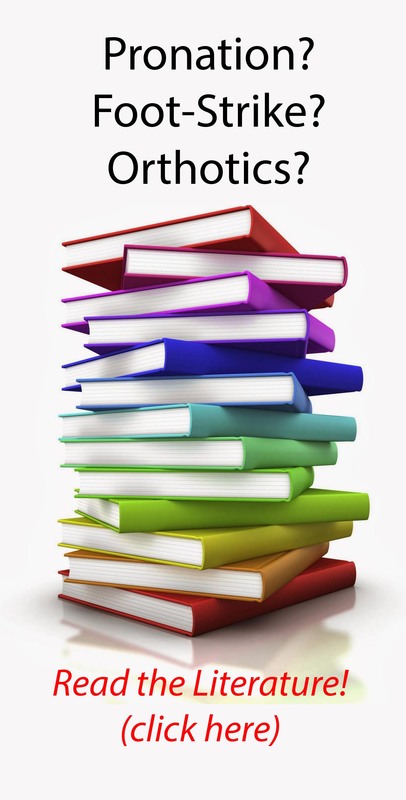 He is board-certified by the American Board of Podiatric Surgery. Dr. Campitelli is in private practice at Northeast Ohio Medical Associates with various offices in Ohio. Sorry for the specificity of the question, and potential irrelevance, but would it also be better to run in place on a concrete surface barefoot rather than with sneakers? Since running in place is different than running forward, your opinion on that would be really helpful. Thank you!